A liturgical procession is always very joyful & emotionally powerful! 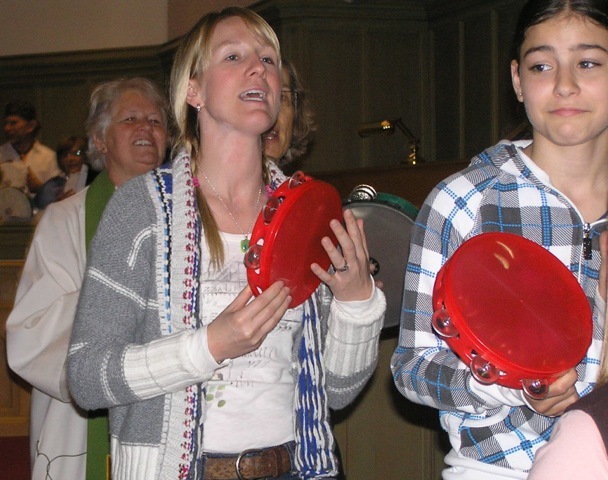 It is a well remembered moment in a congregant's worship history. For this reason, cherish processionals! Yet, use them sparingly and with deeply faithful discernment. 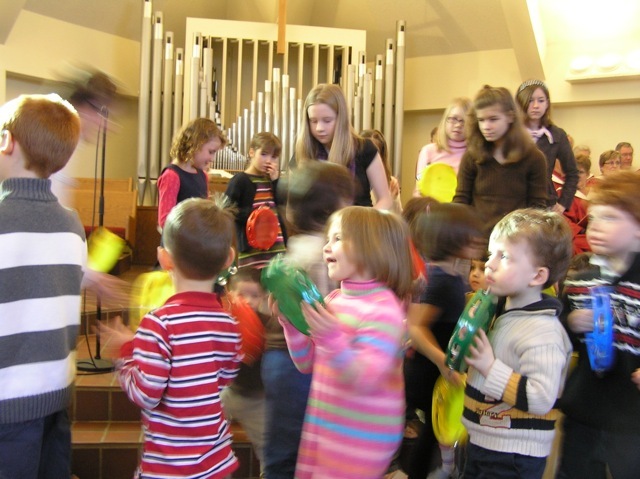 Let the pattern you choose be simple.When children are involved or adults who have never played, consider suggesting they do Cha and Kah which are easier to teach and to play and very good for a procession. When processing with your drum group, be mindful of those drummers who do not play well while walking, or in public, etc. Offer an option to play a simplified pattern within the complex. For example, the plan is for all the processing drummers to play the four patterns of Rattlesnake wrapped in sequence. Allowing for the fact that some drummers will be nervous, suggest that drummers may simply play Ct keeping the pulse for the other drummers. Or more experienced or confident drummers could play Ct Ct CCtt; much less experienced drummers could play simply CCCC. The more individuals involved, the grander the procession. Let your procession cover as much length and space as possible. This can make it even grander and more celebratory. Suitable liturgical days include Palm Sunday, Christmas Eve, welcoming services, anniversary services, dedication and re-dedication services, services to mark the beginning of a new Sunday school term, or to honour someone in the church or an event in the congregation's history. The procession may take place at the beginning of the service, during the moment of dedication, or as a recessional, etc. And how fittingly it would be to process with drums from one location to another, be it coming to a new location of the church, a Remembrance service at the community's cenotaph, or at the inauguration of a new ministry. So, we're all off to church school ! Thanks High River, Bracebridge and Mark Street congregations!